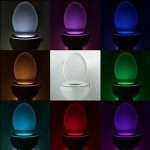 Not many people have heard of a Danze toilet. This is a shame because they are perhaps missing out on the perfect toilet for their home. This simple fact is proven by the few people who have decided to purchase it and their 5-star ratings. 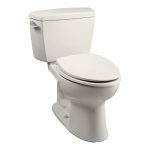 To learn more, you should take a look at our Danze Orrington toilet review to learn about its features and what others think of it. 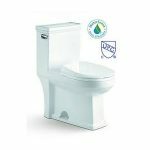 This Danze Orrington toilet is a one-piece toilet that is Water Sense certified. 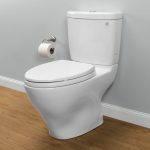 This means it is a high-efficiency toilet and, in fact, made our list of the best water efficient toilets. It uses only 1.28 gallons of water per flush. 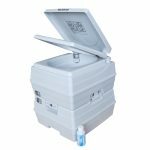 This makes it ideal for anyone who wants to keep the cost down on their water bill or those who are hoping to create an efficient home. 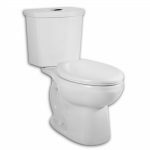 The Danze toilet has a 3-inch flush valve and a bowl that is fully glazed on the inside. 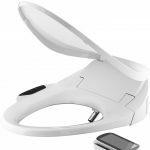 This lessens the chance of toilet stains and ensures that when you flush, the toilet will flush out waste and dirty water quickly. This toilet is heavy due to the fact it is a one-piece toilet. However, it is lighter than many others. It weighs 96 pounds and others may weigh up to 20 pounds more. 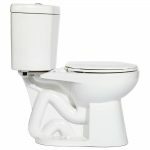 This makes it slightly easier to work with and the fact that it is one-piece means you have fewer areas to clean both inside and out of the toilet. If you like knowing how a toilet looks, you will be impressed by this toilet’s simplicity. It has a small tank area with a rounded front. There are no crevices, not even around the piping within the toilet base. It is very classy and a great upgrade to the bathroom, reminding us a lot of the Kohler Memoirs or American Standard Town Square. This makes it great for virtually every decor style. There are not many reviews on this toilet yet. However, of the ones that have purchased the Danze Orrington, they all have one thing in common. They all love this toilet. They have not found any reason to complain and they feel that if others were to give it a try, they would also be satisfied with it in every way that counts. They like that it is a one-piece toilet. 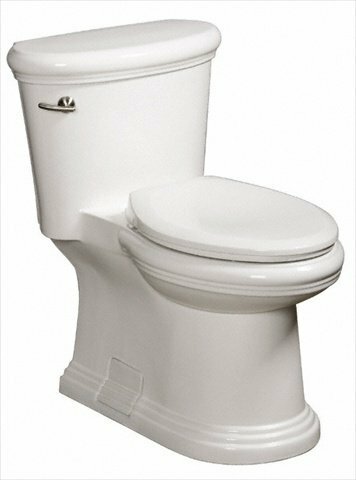 They love that it sits higher than most toilets and they all state that it is the strongest and fastest flushing toilet they have seen. 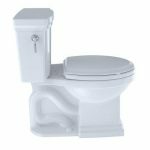 These owners also state that it is easy to clean and flushes well enough to be comparable to some of the other high-end toilets. Is The Danze Orrington Worth the Price? There are name brand toilets that cost both more and less than the Danze Orrington, but they all have issues that cause people to turn away from them. The Orrington is different. 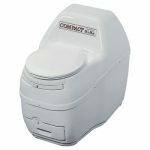 It is a basic toilet that provides you with water efficiency, less time spent cleaning, and a more satisfying flush. There simply is nothing bad that you can say about this toilet. 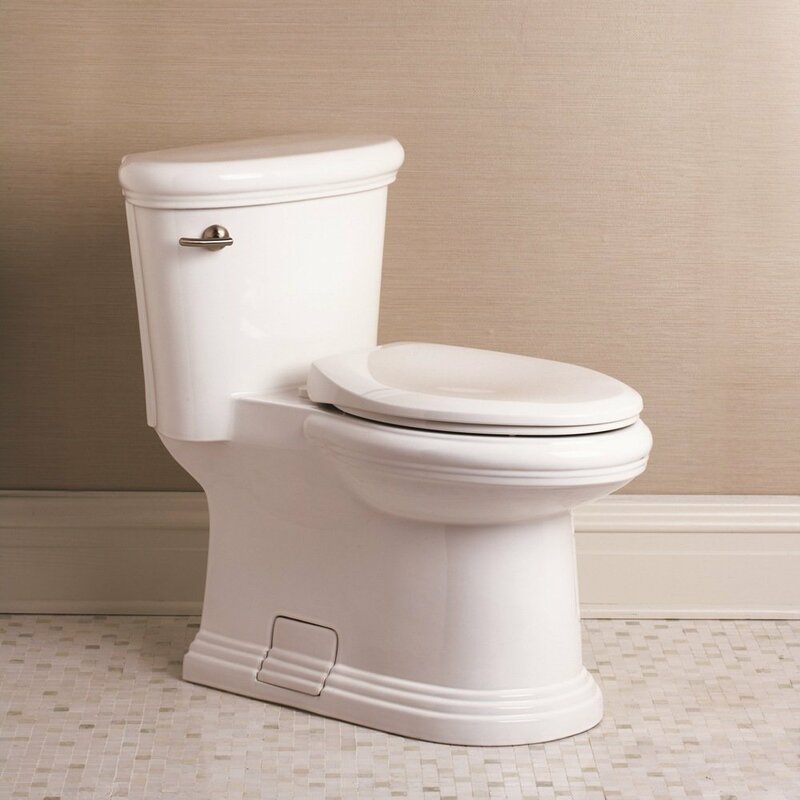 You can choose a round toilet if you want a smaller bowl size or the elongated style bowl if you have the extra room for it. What more could you hope for when you go looking for a toilet? Ready to Purchase the Danze?